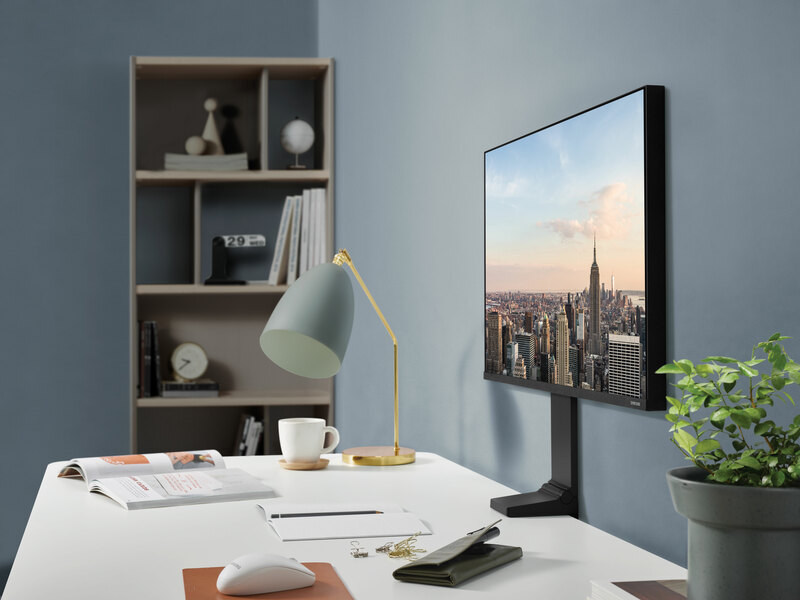 Samsung has released details showing the interface and industrial design of its second-generation smart watch. 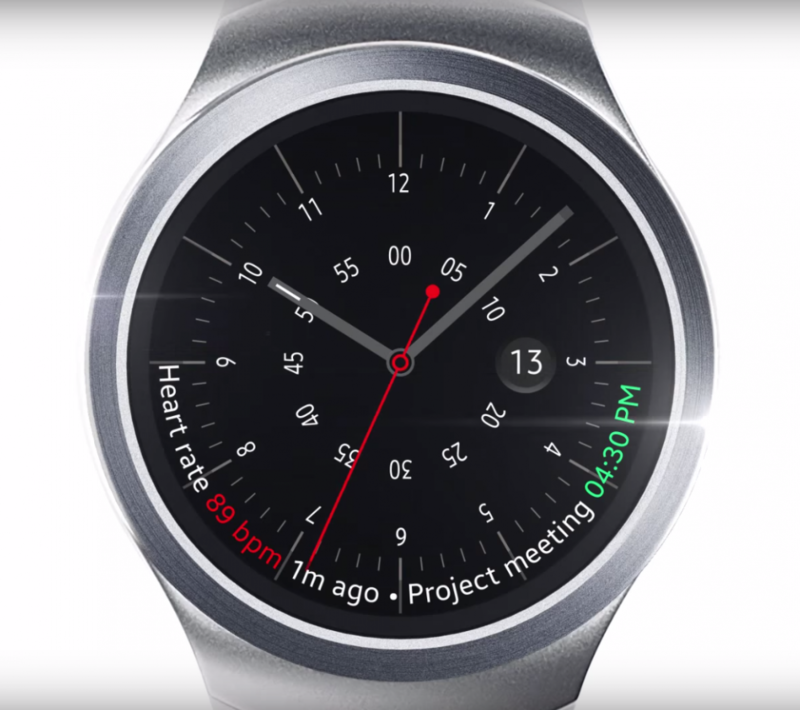 Released on Samsung’s YouTube channel a teaser video for The Gear S2 seems to show a revised interface and increased functionality including a weather app, time zone comparison tool, timer, running app and biometric data tool. All of the apps appear to be accessible through a circular interface. Freezing the video at this point you can see extra information such as current heart rate and next meeting overlaying the clock interface. 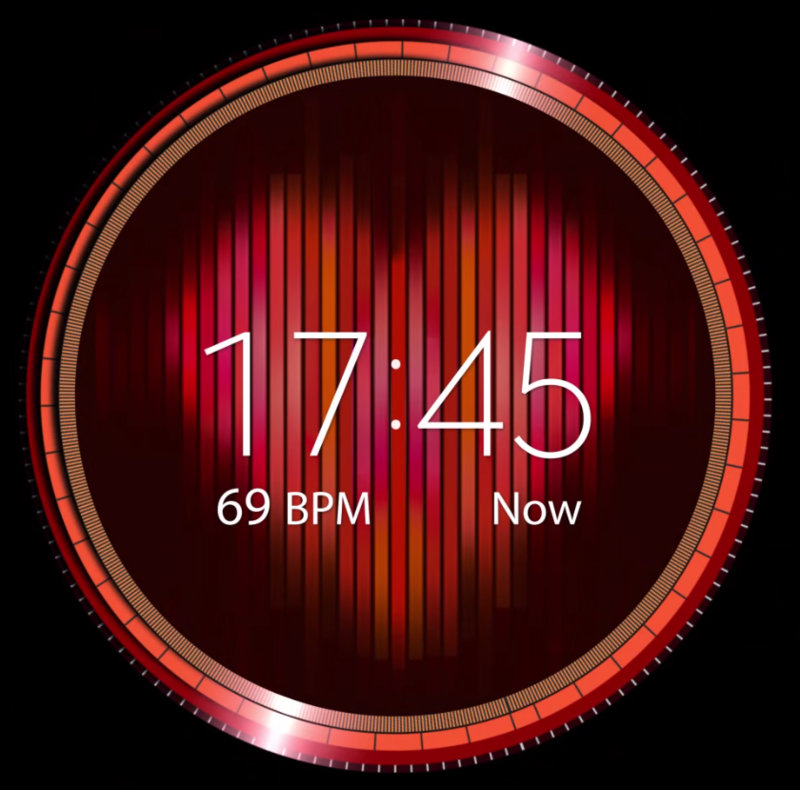 The new design should bring the capabilities of Gear S2 closer in line with those of the Apple Watch by offering a heart rate monitor as well as call and texting functions. The Gear S2’s predecessor Gear S could only call and text although it did have 3G, Wi-Fi and Bluetooth compatibility. Physically the Gear S2 looks different as it has a round watch face and metallic strap, where as its incumbent, the Gear S has a rectangular face and rubber strap. More information on the Gear S2 is expected to be unveiled in Berlin at the beginning of September. 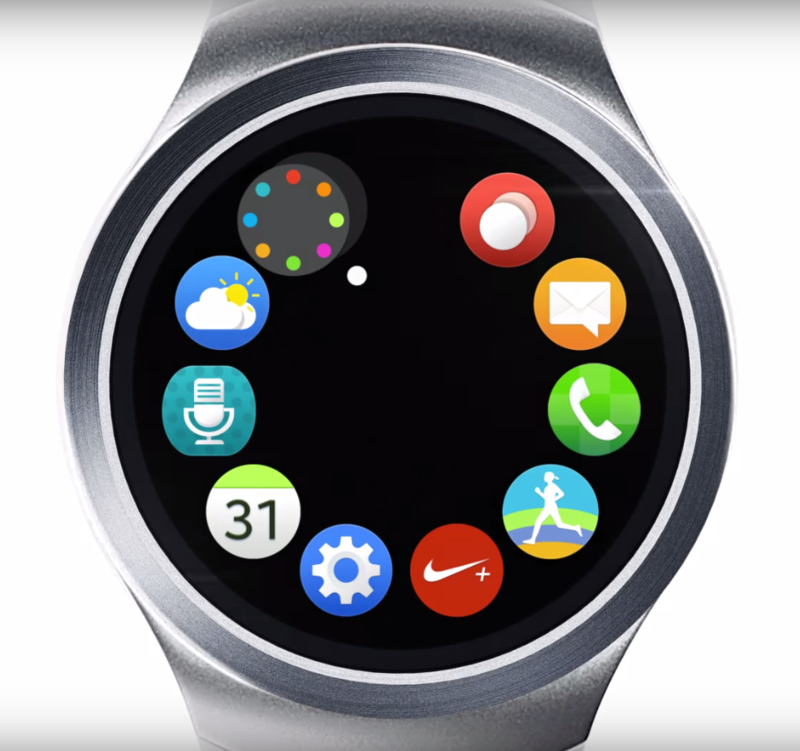 Samsung refused to comment on the design and functionality of the Gear S2.